Lean Reflections: Conference Microsite is Up! 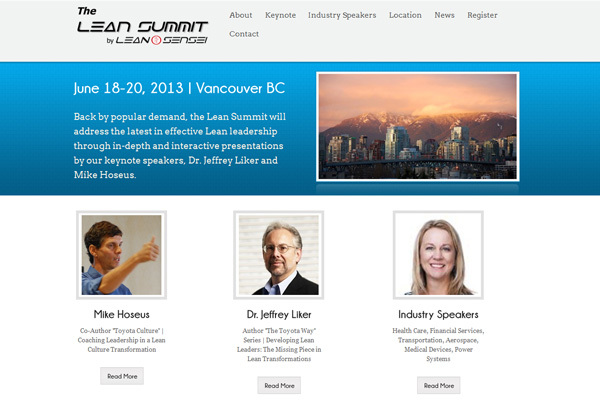 We now have a site dedicated to the Lean Summit conference on June 18-20, 2013. Here, you can read about our keynote speakers and what they will be presenting at the Summit. Everything you need to know about the Summit and registration for the event are all on this site. All updates will be announced on this site as well. Blackbelts in Japan do a flashmob dance! Advance Storage Products is Lean!